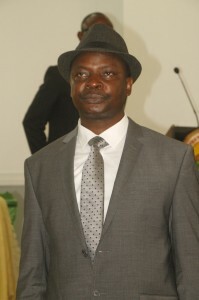 Faseluka Olugbenga Peter, MCIPM ACI (ARB) was born no November 4, 1965 in Ile – Ife, Osun State. He hails from Osi – Ekiti, ldo/Osi Local Government Area in Ekiti State. Dr Faseluka Olugbenga Peter also obtained a Degree in Law (LLB) from the University of Benin in 2003 and is currently pursuing his Master’s Degree in law (LLM). Principles and ethic of the civil service. Dr. Faseluka Olugbenga Peter was a recipient of the 1988 National Youth Serve Corps Honours Award, Kano State. He was the National Secretary, Ondo State University, Alumni Association between 1998 and 2001. He is a devout Christian who had travelled to the Holy Land of Israel and bagged the title Jerusalem Pilgrim (JP). He is happily married to Mrs. Omotola Faseluka and blessed with children.